As temperatures start to cool down, you may notice a change in something other than your wardrobe - your skin. The dry, windy air can cause major issues...unless you have a plan! While it may be tempting to take a long, hot shower after a cold day - it is not the best move for your skin. Hot water strips the skin of moisture, leaving it even less hydrated. Instead take shorter showers with a lower water temperature and use cold water when washing your face. With all of the money you’ll be saving from not using the hot water - we suggest purchasing a nice, warm blanket! If you’ve been using a bar of soap in the shower - it’s time to throw it out. Replace the bar with a moisturizing body wash and a thick cream. When you step out of the shower, pat yourself dry and apply the cream within 60 seconds. Did you know: Lotions and creams do not actually supply moisture to your skin? They instead create a barrier so moisture that is already in your skin can stay there for a longer amount of time. So, if you live in an extreme climate - the thicker the better when it comes to emollients. With hundreds of product options, it can be hard to decide on what’s right for you when it comes to skincare. Do not fall for the “more expensive means better quality” mentality. Focus your search on the product’s ingredients instead of the price tag. Look for “glycerin”, “ceramides” or “hyaluronic acid” on the ingredient list. Top Tip: While thick, greasy lotions may be great for your arms and legs, stick to oil-free moisturizers for your face to prevent clogged pores. Make sure to apply some sort of SPF as well - just because it’s winter does not mean you can’t get a sunburn! Before stepping out, make sure you apply extra moisture to the areas of skin that are not covered by clothing. This is usually your hands, face, neck and ears. If it’s a windy day, you should also apply a balm to your nostrils to avoid dryness and cracking. Pick up a travel sized lotion and balm at your local drug store to keep with you and apply throughout the day. We know this one is easier said than done, but reducing stress is an essential part to having healthy, glowing skin. An increase in stress can spike hormone levels, leading to breakouts and inflammation. YouTube a Yoga session for a calming, at-home workout. Get yourself an essential oil diffuser for work or home. Skip excessive screen time before bed (TV/phone) and read a book instead. Keep your home organized and free of clutter - maybe even get rid of a few things you haven’t used in a while. Following these 5 tips will help keep your skin healthy and looking its best this season. 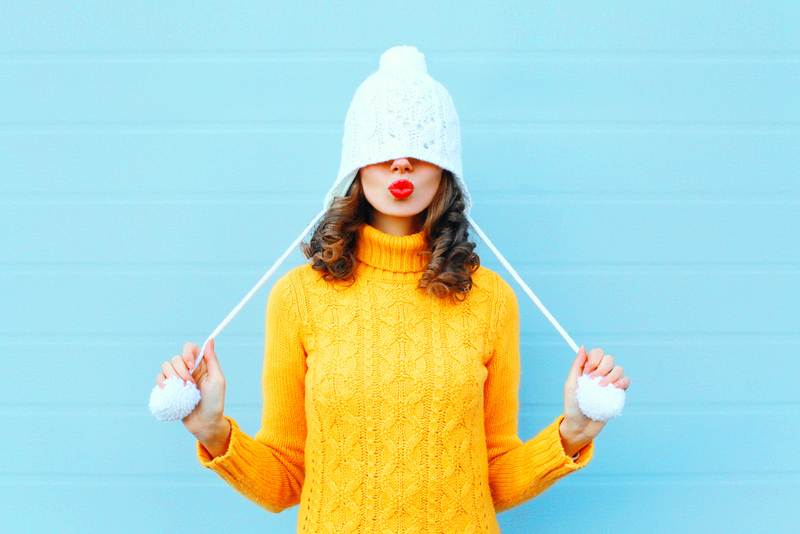 The best way to prevent skin devastation this winter is to create a routine and stick to it!